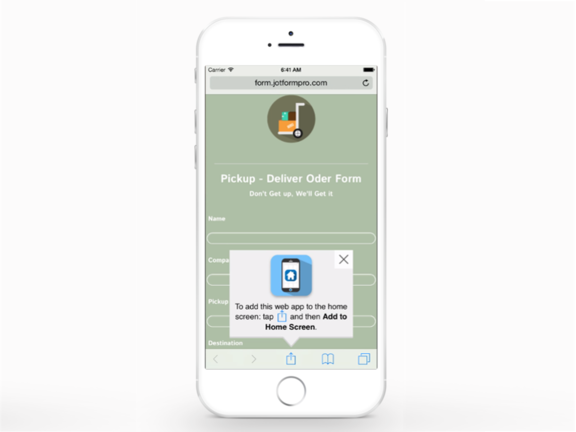 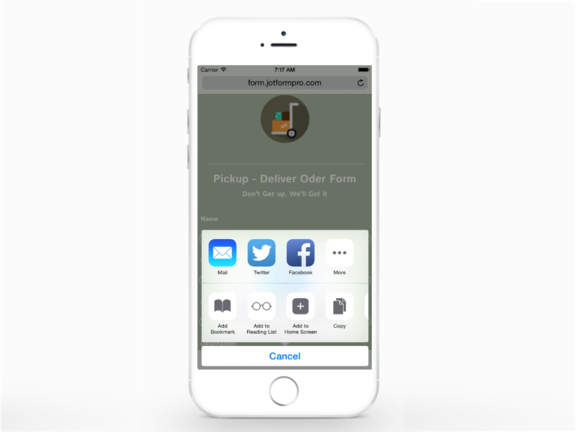 This Widget is designed for the iPhone, iPad and iPod; prompting your form users to add a shortcut that opens your form on their home screens. 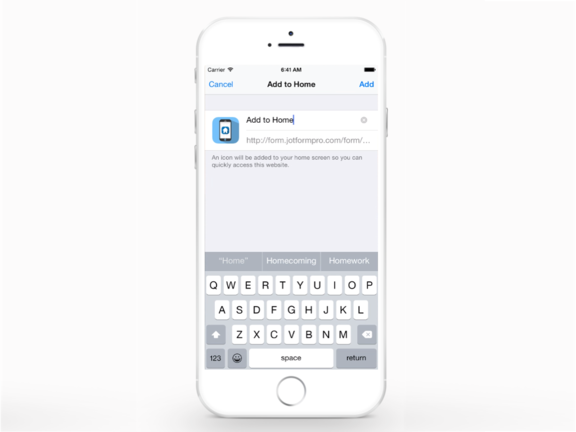 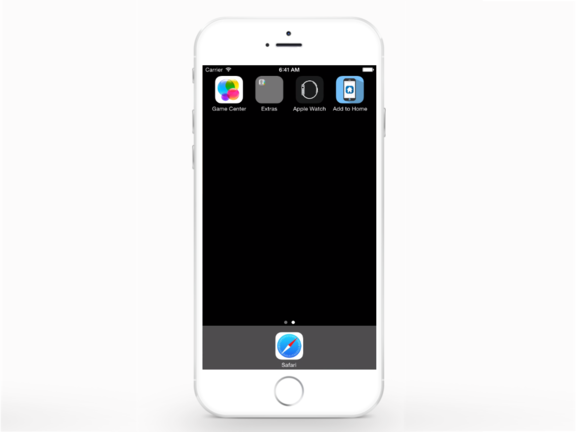 Add to Home Screen opens a prompt dialog that provides an option to the form user to add the shortcut. 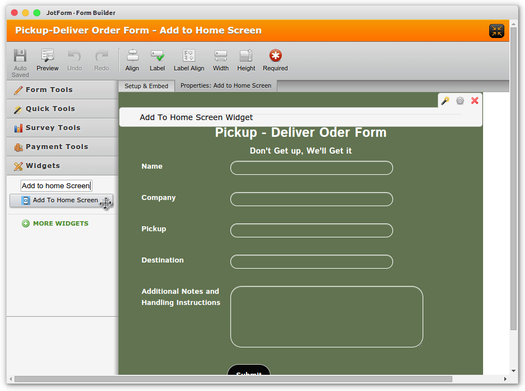 Its very useful for forms that are frequented like order forms, application forms, or forms that are linked to your App among others. 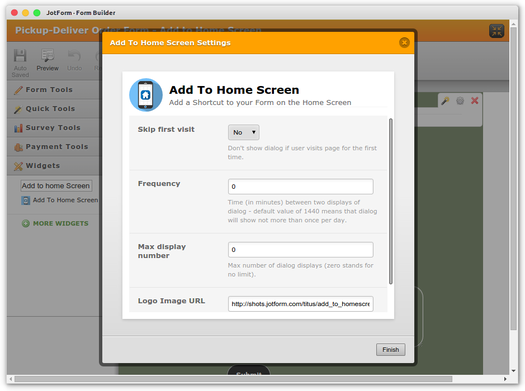 You can configure the frequency of the pop up for each user, and whether it should show right away, or on the second visit. 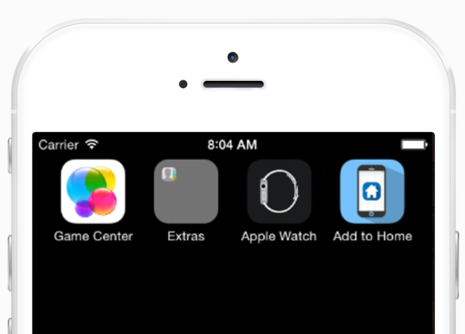 To harmonize your branding, you can customize the logo image in the widget settings.